It’s becoming more common for pet parents to take their furry children on vacations. But every pet doesn’t necessarily have to be a good traveler. 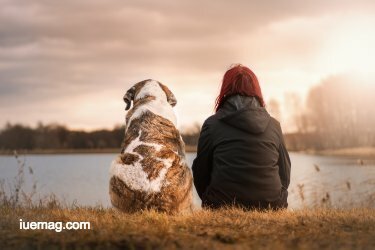 So here are some tips if you do want to travel with a pet. Read ON! It’s becoming more common for pet parents to take their furry children on vacations. But every pet doesn’t necessarily have to be a good traveler. Some pets might remain calm during travel while other pets might get agitated when separated from their owner. Since you know your pet better than the rest, you’re qualified enough to decide to go on a pet vacation or not. If you can’t part with your furry best friend, here are some ways to travel safely and comfortably with your pet. 1. 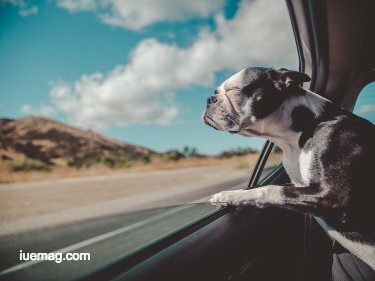 Is your pet ready for travel? Many owners feel that home training and some casual incentives can prepare pets for travel. Unfortunately, it just doesn’t work that way. Every pet has their own unique personality. You can’t force them to get themselves prepared for travel. Some pets do become great travel companions with home training. However, a professional is better equipped to handle difficult cases. 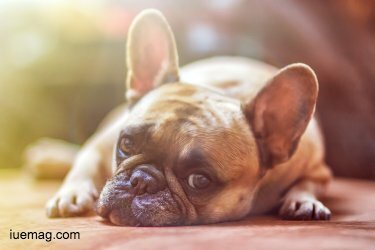 If your efforts are failing, hire a professional behaviorist to work with your pet. Always assess and choose the safest transport method for your pet. An airline cargo may not be the best option if he gets nervous when you’re not around. In such situations, it might be better to travel by road. Many places have a quarantine period for pets coming into the state or country due to public safety concerns. So, check if there’s an easy entry for your pet at your destination. Use your pet’s collar to tag him with proper identification. This should include his name, address, phone number, local contact details, and vaccination information. You can also implant him with a microchip. In case he gets lost, a microchip implant can easily trace him back – it’s very small and inexpensive. You can easily complete the procedure with any veterinarian. It’s important to have all the pet travel papers and medical records with you at all times. It’s fine if you have to step out for some time but inform the reception about leaving your pet at your room. Never leave your furry friend completely unattended. Bond with him by taking part in pet-friendly activities around the city. 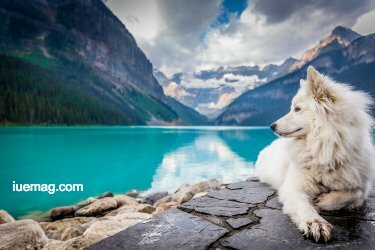 Contact reputable tour companies like Dylan’s tours to check if they have any pet-friendly tours available. Or, just soak in the sights with him by your side. After all, you did bring him on vacation to spend time with him. Your mode of transportation doesn’t matter – you need to get a pet crate. You don’t want her to feel uncomfortable and you don’t want her to be thrown around during transit. So, choose a crate that isn’t too small or too big. Airline-approved crates will have enough ventilation along with food and water trays. The crates will have visible ‘live animals’ stickers to inform people about the presence of an animal inside. Make her feel comfortable by placing a cozy blanket or cushion on the floor of the crate. It’s likely that Fido will feel nervous and uncomfortable during travel. So, train him beforehand to remove some of his anxiety. Start by making him use the pet crate a few weeks before the travel date. Make it a familiar area by placing his favorite toys, his bedding or even his food bowl inside. Ease him into the crate by initially getting him used to the floor, the top, and then the door. Since this might take some time, an early start would be immensely helpful. It’s a good idea to take shorter trips before the travel date. This gives her a chance to get familiar with the process. It also gives you an opportunity to train her in a controlled environment. Don’t change the food schedule as a sudden shift in routines can increase her anxiety. Just give her a light meal and some water before the trip. Keep an eye on any negative reactions or behavior. Talk to a veterinarian to ensure that you train her properly. Ideally, you should take him to a pet clinic and get him checked by the vet before and after every trip. The first step is to get him vaccinated – many states and countries have strict regulations regarding the vaccination of foreign animals. If you’re traveling to a new country, stock up on the required medications, tick and flea prevention, specific food items, and herbal supplements to calm him down. Carry collapsible food and water bowls, clean hand towels, waste bags, and a fully stocked first-aid kit for your pet. It’s better to limit your pet’s movement instead of running into any kind of trouble. So, keep a pet carrier and the necessary leashes and safety restraints with you. If needed, place your t-shirt inside the pet crate to calm him down. If he feels too nervous, use herbal supplements or a DAP collar after consulting a vet. She might be confused and scared by the new surroundings. So, after checking into a pet- friendly hotel, take her for a calming stroll around the street and inside your hotel. Set up the pet carrier as her “safe zone” by letting her eat and sleep in it. If you have to go somewhere alone, fill up her food bowl and water bowl, switch on the TV and hang the ‘do not disturb’ sign on the door handle. After all, you don’t want her to act aggressively to the housekeeping staff. It’s vital to give your pet a sense of safety, security, and comfort. If your pet tends to become more hostile towards unknown people, it’s best not to take him on the trip. With the above steps, you can ensure a comfortable trip for your pet and a stress-free vacation for you. Any facts, figures or references stated here are made by the author & don't reflect the endorsement of iU at all times unless otherwise drafted by official staff at iU. This article was first published here on 21st January 2019.